We were very happy to meet you all at the 35th ITI World Congress in Segovia, Spain, and would like to sincerely thank you for your participation. It was really interesting to meet you all and discover the current ITI Members activities, as well as getting to know new artists and “activists” and hear their interest in getting involved with ITI. It was also very nice to be able to put names to faces at our gathering, which stands us in good stead for future relations. 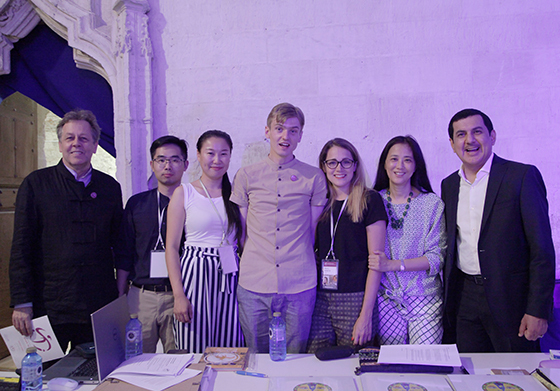 The Congress in Segovia was probably the largest ITI World Congress so far, with over 600 participating delegates, artists, educators and students from over 70 countries. The Director General´s Congress Report is being assembled and will summarize the whole Congress for you. Exciting ideas for new projects, festivals, collaborations and various other activities came out of the different meetings at the Congress, and we are eagerly looking forward to this upcoming year! We are putting together a survey dealing with the Congress. We will put it together and send it to all participants of the Congress. It will be sent out at the end of August. Your answers and ideas will help to improve future Congresses.